In case you haven’t noticed, food blogs, food magazines, food networks and the like love Thanksgiving. They love it because, for once, the nation is intent on cooking dinner. For 364 days out of the year, that’s mostly not the case–what with fast food and frozen dinners and all the other instant options at our fingertips. But Thanksgiving? Thanksgiving is something you’ve gotta cook. That is, unless you’re me. Me, I prefer cooking those other 364 days out of the year. It’s not that I don’t like preparing Thanksgiving dinner–I’ve done it twice before!–it’s just that I don’t like dealing with Thanksgiving stress. The stress of shopping, the stress of timing, the stress of catering to everyone’s dietary needs. So this year, thankfully, we’ll be Thansgivinging with my sister-in-law’s family in West Palm Beach. Tali’s dad is an enthusiastic cook (he helped me carve the turkey two years ago) and I’m excited to eat (and relax!) at his house this time around. But where does that leave you? Fear not, gentle reader. I, your beloved food blogging friend, crafted a pre-Thanksgiving Thanksgiving the other night to test some recipes that you might consider for your own Thanksgiving table. Ignore the chicken: that was just there to take the place of turkey since turkey is actually rather expensive and I couldn’t justify that expense cooking, as I was, for two. 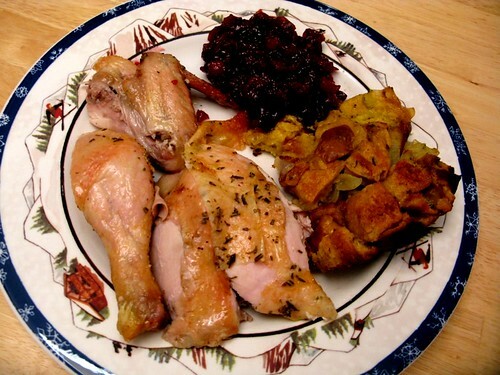 I prepared the chicken simply by coating it with softened butter (about 4 Tbs), stuffing it with a lemon and a bunch of rosemary, and then chopping rosemary and sprinkling it all over the bird along with salt and pepper. I put it in a cast iron skillet and roasted it for about 1 hour at 425. But that’s irrelevant because you can’t serve chicken at Thanksgiving can you? No, you cannot. Which is why I’m grateful for my new favorite food site, Food52. 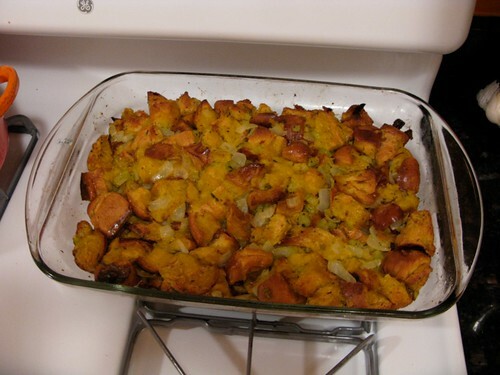 It was there that I found the most tempting recipes for Thanksgiving sides; one of them a big winner, and the other very good, but not as good as what I’d made at my own Thanksgivings past. Let’s start with the latter. That was the stuffing. I used the recipe for “What We Call Stuffing: Challah, Mushroom and Celery” by Mrs. Wheelbarrow. For the full recipe, click the link, but essentially, you cut up challah bread (or brioche) and if you don’t have time to dry it out overnight, you toast it. 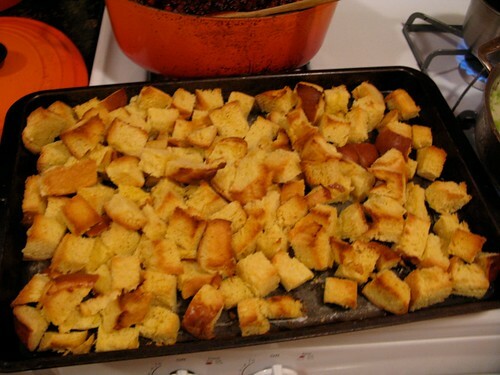 This stuffing is really good, don’t get me wrong. The challah adds a lot to it–making it rich and sweet and buttery–and the other elements give it kind of a woodsy, earthy kick. 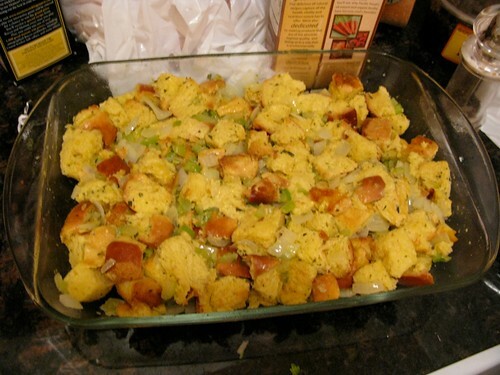 But I still prefer the stuffing I made two years in a row, a cornbread stuffing from Epicurious with sausage, leeks and cranberries (here’s the recipe). But, fear not Food52 fans, the other recipe I tried was so outrageously good, I’m a total convert—I think everyone should make it this year. 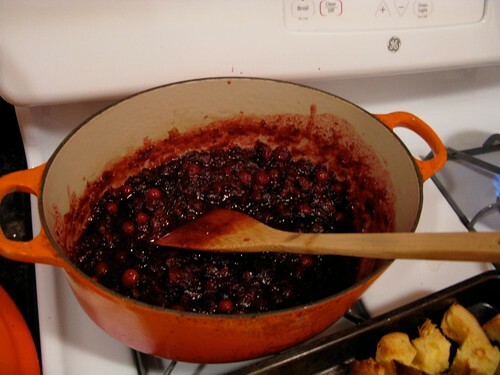 And that’s the recipe for Gingered Cranberry Fig Chutney. It really couldn’t be easier. 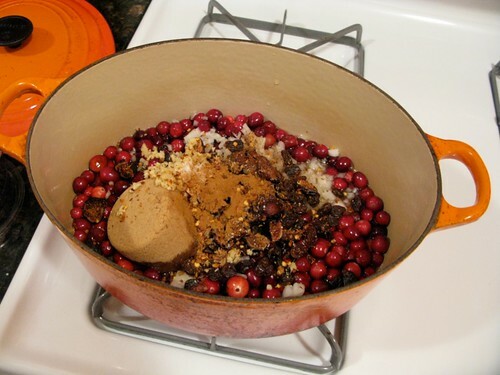 Into a big pot (or Dutch Oven) you add all of your ingredients: your cranberries, your orange juice, your chopped up ginger, your cider vinegar, your raisins, your black mission figs, your mustard seeds and brown sugar. 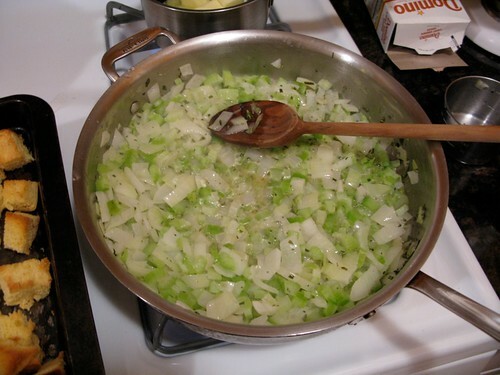 You bring to a boil, lower to a simmer and cook for 20 to 25 minutes. That’s it! 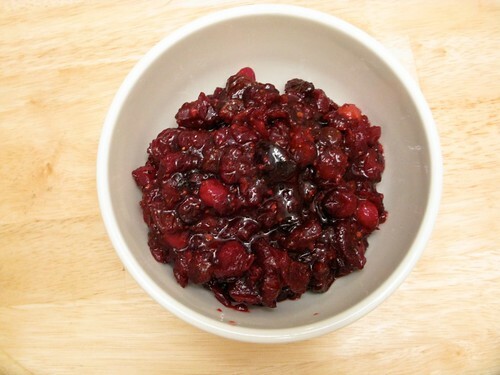 What you are left with is a cranberry sauce (or chutney) for the ages; something complex, exciting, spicy, mysterious, and an absolutely perfect complement to all that rich food that’ll be crowding your plate otherwise. I can’t recommend it enough. And thus, this Thanksgiving Recipe Tester tips his hat to all of you cooking Thanksgiving dinner this year. New readers may be glad to know that I have a PDF from two years ago that gives you a whole Thanksgiving game plan (click here). Otherwise, for those who are cooking and those who aren’t, I salute you all and wish you very moist turkeys one week from today.